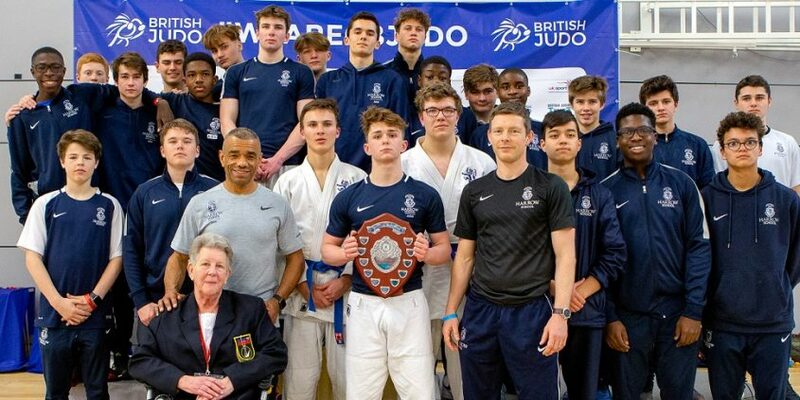 Harrow School have scooped the Simon Hicks trophy following the recent 2019 edition of the British Schools Championships in Sheffield. 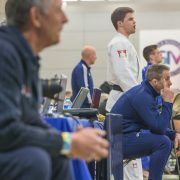 With 25 athletes entering the event over the weekend, they were able to accumulate enough points to take home the Simon Hicks trophy after just the first day of competition. 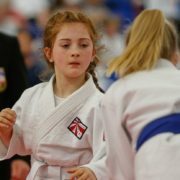 Each school received 1 point for each athlete that was entered into the competition along with six points for a Gold medal, four points for a Silver medal and two points for a Bronze medal. 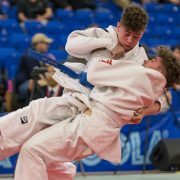 Harrow’s victory was spearheaded by a dominant performance in the Years 8-9 competition at -73kg and -81kg with a Gold and Silver in both categories. 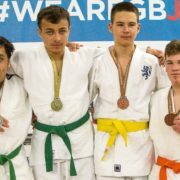 Emmanuel Olowe and Giancarlo Urselli topped the podium on this occasion as they defeated school colleagues Jude Esposito and Philip Truscott to take home gold. 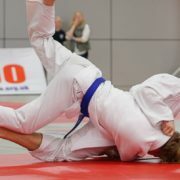 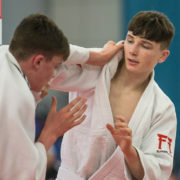 They were further bolstered by Bronze medal victories at Years 8-9 by a double bronze medal victory in the -81kg competition with wins for Matthew Gaffaney and Baba Obatoyinbo. 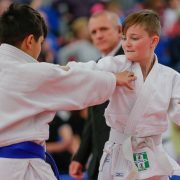 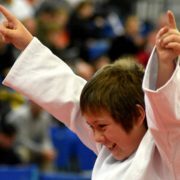 Other notable medal wins for Harrow included George Davies taking home silver in the Boys Years 10-11 -73kg competition, Peter Peganov’s silver medal triumph in the Boys Years 10-11 -90kg and both Jan Kryca and Harry Cleeve claiming silver in the Boys Years 12-13 -90kg and +90kg respectively.